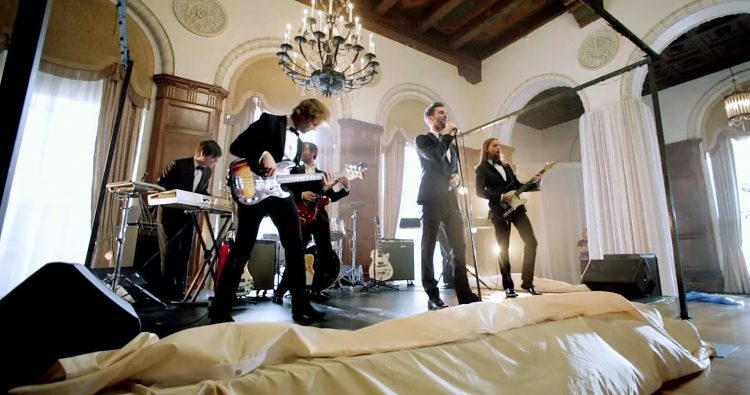 Sugar, like many other songs by Maroon 5, is about love, desires and emotions. It begins with Adam Levine (Lead singer) expressing a strong craving for his lover. It is almost like he is in withdrawal and begins to suffer when he isn’t with her. He needs her close and wants her love, warmth and comfort during his difficult moments. There is a level of exclusivity that he would like to have in the relationship. Or it could just be a male possessive nature. Either way he feels that she should not be with anyone, except for him. To make it even sweeter, Maroon 5 made a remix with Nicky Minaj, so you can compare the two versions and decide which taste sounds better. The inspiration for the music video was a movie “Wedding Crashers” from 2005. Adam circles around L.A. with his band and crashes weddings where they play this song.